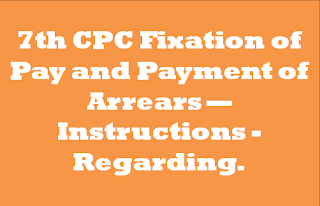 7th CPC Fixation of Pay and Payment of Arrears — Instructions - Regarding. 4. 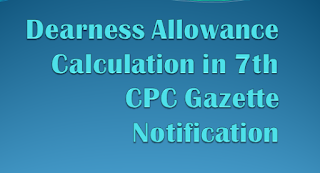 The decision on the revised rates and the date of effect of all Allowances (other than Dearness Allowance), based on the recommendations of the 7th Central Pay Commission shall be notified subsequently and separately. 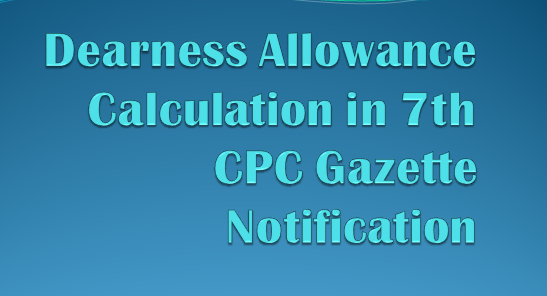 Until then, all such Allowances shall continue to be reckoned and paid at the existing rates under the terms and conditions prevailing in the pre-revised pay structure as if the existing pay structure has not been revised under the CCS (RP) Rules, 2016 issued on 25.07.2016 . 9. 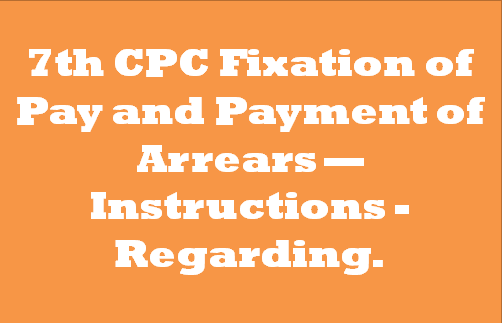 The requirement of pre-check of pay fixation having been dispensed with, it is not unlikely that the arrears due in some cases may be computed incorrectly leading to overpayments that might have to be recovered subsequently. 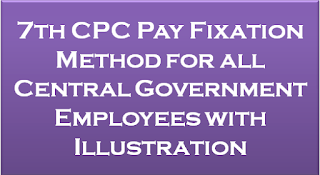 Therefore, the Drawing & Disbursing Officers should make it clear to the employees under their administrative control, while disbursing the arrears; that the payments are being made subject to adjustment from amounts that may be due to them subsequently should any discrepancies be noticed later. 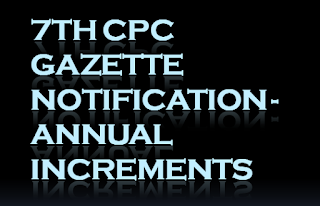 For this purpose, an undertaking as prescribed as per a “Form of Option” under Rule 6(2) of the CCS(RP) Rules, 2016 shall be obtained in writing from every employee at the time of exercising option under Rule 6(1) thereof. 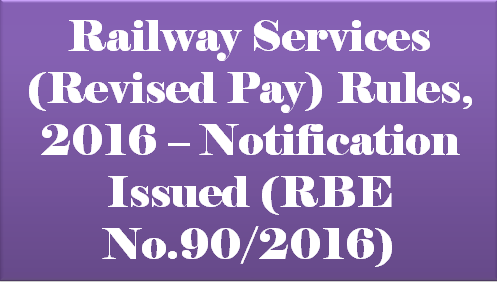 (1) These rules may be called the Railway Services (Revised Pay) Rules, 2016. (1) Save as otherwise provided by or under these rules, these rules shall apply to persons appointed to Railway services. 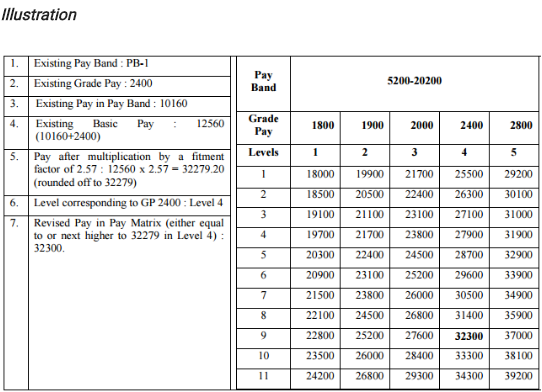 (iv) “existing pay structure” in relation to a Railway Servant means the present system of Pay Band and Grade Pay or the Pay Scale applicable to the post held by the Railway Servant as on the date immediately before the coming into force of these Rules whether in a substantive or officiating capacity. 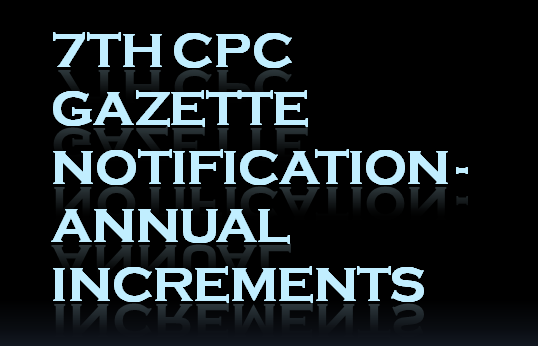 (xii) “Schedule” means a schedule appended to these Rules . 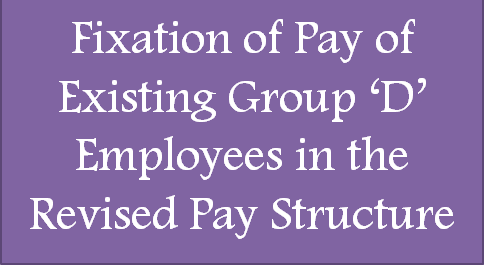 The Level of posts shall be determined in accord ance with the various Levels as assigned to the corresponding existing Pay Band and Grade Pay or scale as specified in the Pay Matrix. 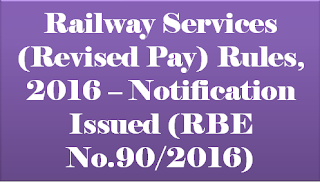 Provided further that in cases where a Railway servant has been placed in a higher grade pay or scale between 1st day of January, 2016 and the date of notification of these Rules on account of promotion or upgradation, the Railway servant may elect to switch over to the revised pay structure from the date of such promotion or upgradation, as the case may be. 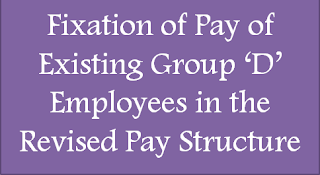 Explanation 1 – The option to retain the existing pay structure under the provisos to this rule shall be admissible only in respect of one existing Pay Band and Grade Pay or scale. Explanation 2 – The aforesaid option shall not be admissible to any person appointed to a post for the first time in Railway Service or by transfer from another post on or after the 1st day of January, 2016, and he shall be allowed pay only in the revised pay structure. 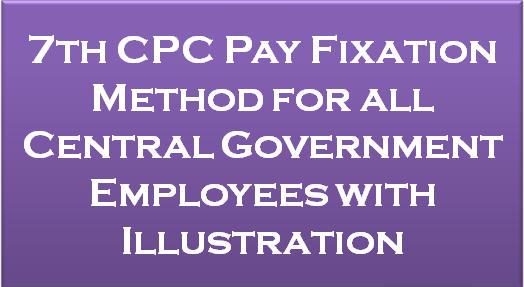 Explanation 3 – Where a Railway servant exercises the option under the provisos to this rule to retain the existing pay structure of a post held by him in an officiating capacity on a regular basis for the purpose of regulation of pay in that Pay Structure under Rule 1313 (FR 22) of Indian Railway Establishment Code, Volume II, or under any other rule or order applicable to that post, his substantive pay shall be substantive pay which he would have drawn had he retained the existing pay structure in respect of the permanent post on which he holds a lien or would have held a lien had his lien not been suspended or the pay of the officiating post which has acquired the character of substantive pay in accordance with any order for the time being in force, whichever is higher. (ii) where a Railway servant is under suspension on the 1st day of January, 2016, the option may be exercised within three months of the date of his return to his duty if that date is later than the date prescribed in this sub-rule. (2) The option shall be intimated by the Railway servant to the Head of his Office along with an undertaking, in the form appended to these rules. 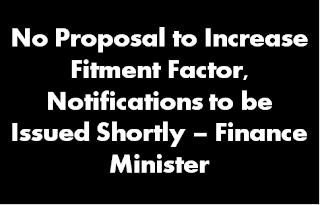 (3) If the intimation regarding option is not received by the authority within the time specified in sub-rule (1), the Railway servant shall be deemed to have elected to be governed by the revised pay structure with effect from the 1st day of January, 2016. 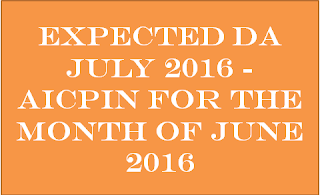 Note 1 – Persons whose services were terminated on or after 1st January, 2016 and who could not exercise the option within the prescribed time limit, on account of discharge on the expiry of the sanctioned posts, resignation, dismissal or discharge on disciplinary grounds, shall be entitled to exercise option under sub-rule (1). Note 2 – Persons who have died on or after the 1st day of January, 2016 and could not exercise the option within prescribed time limit are deemed to have opted for the revised pay structure on and from the 1st day of January, 2016 or such later date as is most beneficial to their dependents if the revised pay structure is more favourable and in such cases, necessary action for payment of arrears shall be taken by the Head of Office. 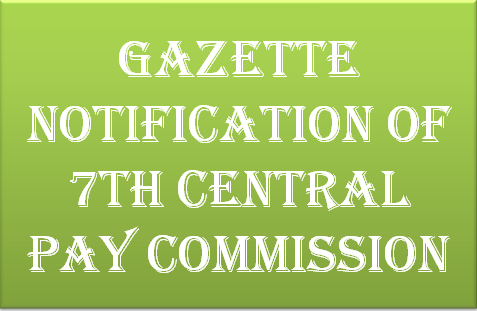 Note 3 – Persons who were on earned leave or any other leave on 1st day of January, 2016 which entitled them to leave salary shall be entitled to exercise option under sub-rule (1). 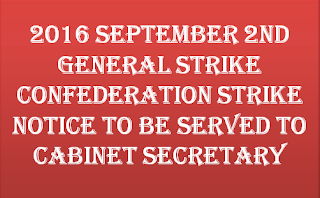 This is to give notice that the employees who are members of the affiliated organisations of the Confederation of Central Government Employees and Workers will go on one-day strike on 2nd September 2016. 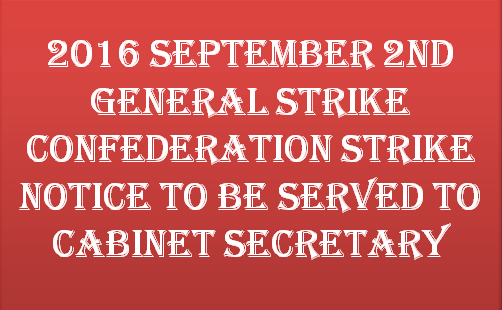 The Charter of demands in pursuance of which the employees will embark upon the one-day Strike action is enclosed. 5. (i) Treat Gramin Dak Sevaks as Civil Servants and extend all benefits on pay, pension and allowances of departmental employees. 2. 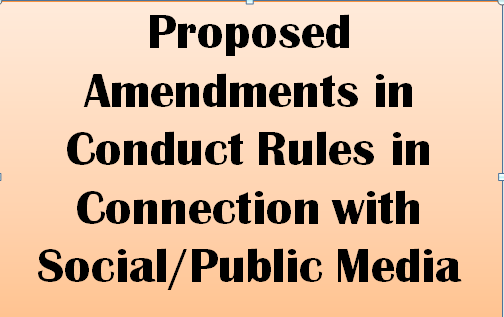 Therefore, it is requested to furnish your comment/views on the proposed amendments latest by 12th August, 2016. 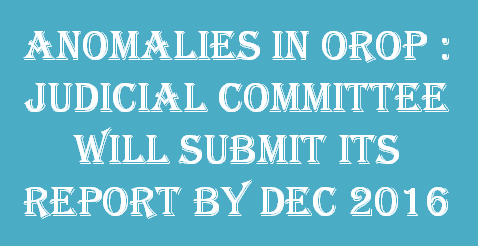 The comments/views may also be sent by email at so- ais3.nic.in. A Judicial Committee on OROP headed by Justice L. Narasimha Reddy, Retired Chief Justice of Patna High Court has been appointed vide Government order dated 14.12.2015 to look into anomalies, if any, arising out of implementation of OROP. 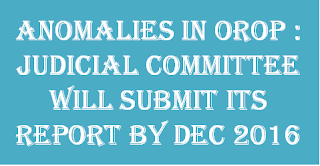 The Committee shall make its recommendation within one year of the date of its constitution. 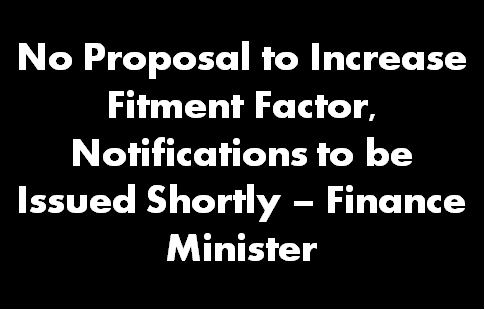 This information was given by Minister of State for Defence Dr. Subhash Bhamre in a written reply to Shri Mahendra Singh Mahra in Rajya Sabha today. 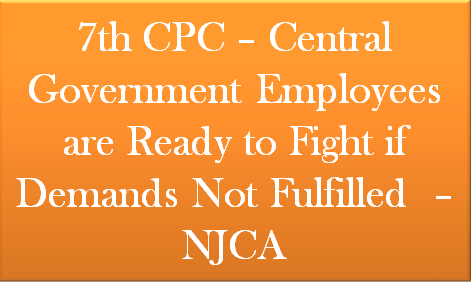 For complete preparation of strong background in any movement, struggle/strike, role of an individual unit, branch, division, zonal and national level, strong change can never be devaluated, and such an strong united movement at all levels leaders ultimately encourages to give a clarion call of struggle at the national level. National leadership has to take care of all even-odd circumstances, lead his attitude, patience and safety of their force. Deep contemplation yields of the movement for him to cause execution to implement various strategies and timelines for the fulfillment of the objective of the obligation to go beyond such a positive approach rather than criticism for decisions on the subtleties of the churning the movement extended to the middle of your peers and get validness struggling peace succeeds. I am directed to refer Gol, MoD letter No.6(4)/87/1369/B/D(Pens/Sers) dated 30.06.1988, which was issued for taking appropriate action for endorsement of Family Pension in the Pension Payment Orders of Armed Forces Personnel. 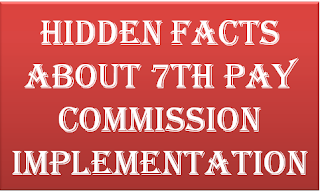 For this purpose an application from “Appendix A” was enclosed along with ibid letter under which details of re-employment, family pension from other sources were required to be filled. 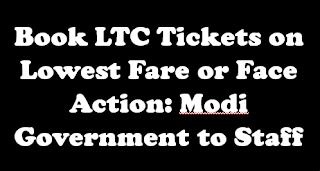 Employees who fail to buy air tickets at the lowest price available on the day while undertaking journey on Leave Travel Concession (LTC) claim will face severe penal action, as per the draft guidelines finalised by the Centre. The move comes after the government noticed instances where some of its employees colluded with private travel agents to submit LTC claims showing inflated airfare to clandestinely obtain undue benefits like free boarding, lodging, transport or cash refunds. 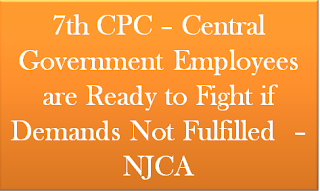 The Central Bureau of Investigation (CBI) is also looking into cases of alleged irregularities in availing the LTC claims. The ministries concerned will also carry out random checks with airlines to ensure that the tickets were booked at the lowest fare available on the date of purchase. “It has now been decided that in accordance with the canons of financial propriety, government servants should purchase tickets at the lowest rate available at the time of booking for the date and time of scheduled journey. “Government servant will be required to submit print-out of tickets showing date and time of booking in addition to the fare charged,” the new guidelines drafted by the Department of Personnel and Training (DoPT) said. Any violation of the existing norms by authorised travel agents — M/s Balmer Lawrie & Company, M/s Ashok Travels & Tours and IRCTC — will invite blacklisting. 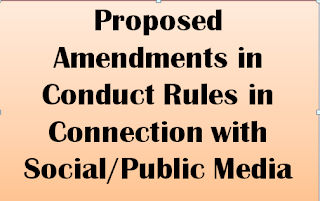 The proposed guidelines have cited provisions of the service rules “which require the government servants to maintain absolute integrity at all times”. In addition, cheating and fraud also attract various sections of the Indian Penal Code (IPC), it said. 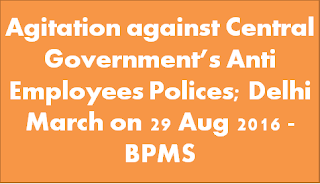 “Ministries and departments should therefore not hesitate to take severe action against employees guilty of deliberate malpractices, particularly in collusion with travel agents etc,” the DoPT said. The new guidelines are likely to come into force from next month, a senior government official said. 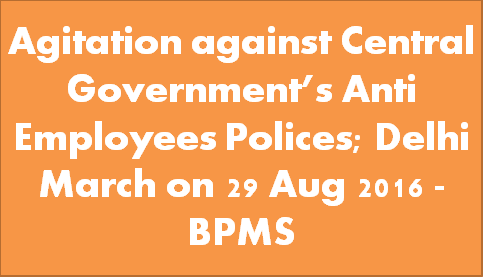 The DoPT has also warned the employees that any plea of ignorance of rules will not be entertained and any deviation will be handled legally and in accordance with the service rules. 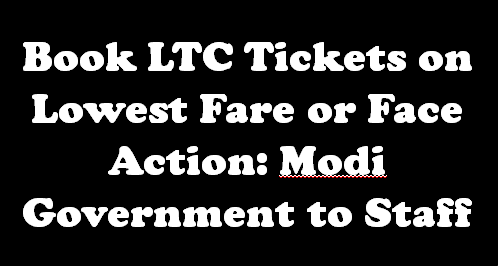 As per the draft guidelines, while submitting the LTC claim after completion of the journey, the government servant will be required to submit a self-certificate on plain paper that the airfare claimed by him or her in respect of the fare charged by the airline is for the air journey only and does not include any charges for any facility, undue benefit including boarding, lodging or local transport. The employees need to certify that the tickets were booked “at the lowest fare available for the destination at the time of booking for the scheduled date and time of departure” and that they are aware that suppression of any information or furnishing wrong information will render them liable to disciplinary action.